Steel cans revolutionised food packaging when they were created more than 200 years ago. And since canning technology came of age in the 20th century, the can has provided a safe, effective and affordable means of preserving food and vital nutrients such as vitamins and fatty acids for millions of people. Whilst many new packaging formats have been developed since its invention, the can has endured. 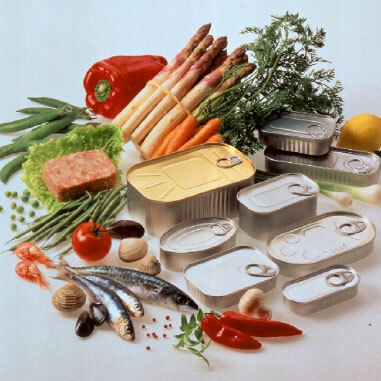 Although some people might associate it primarily with staple food items or perhaps low value products, steel for packaging and the steel can will remain at the very centre of the food packaging stage for many years to come, providing high quality, nutritious and varied food stuffs for people throughout the world. 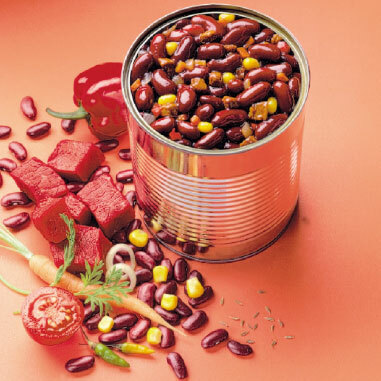 The first canned foods appeared in the 19th century, driven by the need to preserve food on long maritime expeditions. They revolutionised sailors’ diets and ended the problem of scurvy, thanks to the vitamin C partially preserved in the canned foods. Today, canning technology allows us to preserve food and protect its nutritional quality for long periods at room temperature. The process works by heating airtight cans to sterilize the food inside them, and it remains one of the most widespread and safest ways of preserving the health benefits of food. Through the years this process continued to advance as research into the effects of heat treatment has improved our understanding, and the manufacturing process of tinplate cans has become more sophisticated. In terms of safety, the process has stood the test of time. 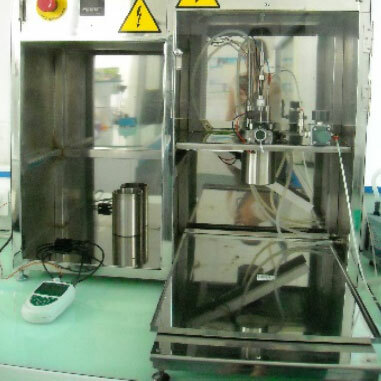 The modern packing industry is extremely well controlled and products and production facilities are subject to regular inspection, especially on a microbiological level. In the context of a risk analysis no case of botulism has been reported since 1918 among the 700 identified references. So, consumers can be confident about quality and safety when buying canned food. 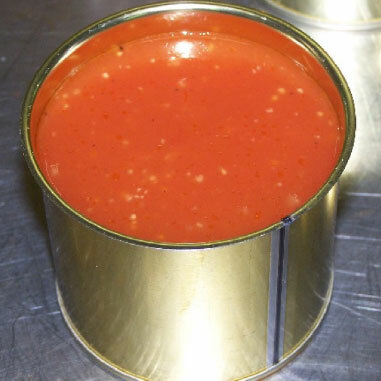 One of the advantages of canning foodstuffs is that sterilization by heat does not modify the macronutrients – proteins, lipids and carbohydrates – of the canned food. As a rule, vitamins are preserved at the rate of about 70% in canned products which is close to the content in fresh foods that have been stored for several days before eating (see diagram). 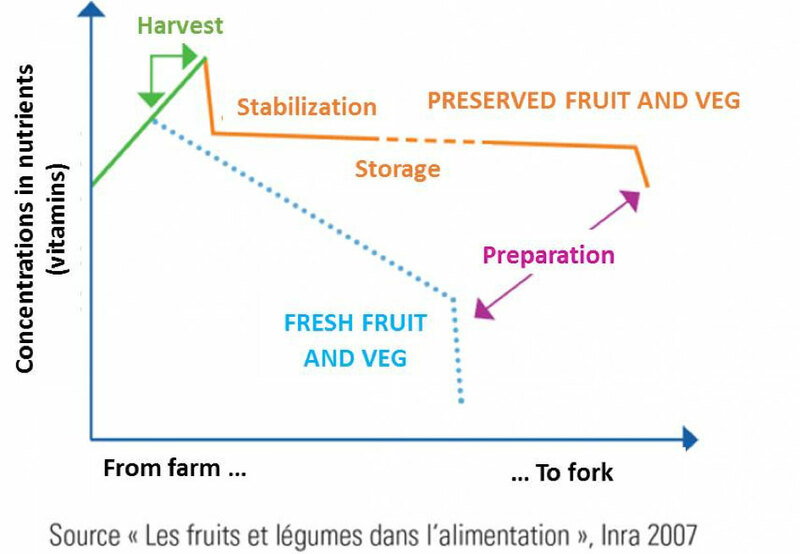 With modern farming, harvesting and packing practices, fruit and vegetables are canned very quickly after harvesting. Times of between two to four hours are common, thanks to the close proximity of many canneries to the cultivation areas. This quick processing facilitates the preservation of most of the original organoleptic and nutritional qualities of the produce and limits the loss of water-soluble vitamins (C and Group B vitamins). Similarly, many types of fish such as salmon, tuna and sardines are canned shortly after being caught. The process also preserves their beneficial nutrients such as Omega 3 fatty acids which are largely preserved by canning. In a bid to continue improving the process of canning foods, much research work has been carried out especially on how to further improve the levels of certain nutrients during the canning process. Scientists have established that several important vitamins and nutrients are preserved by the canning process. Folic acid or vitamin B9 plays an essential role in the production of genetic material (DNA and RNA) and amino acids needed for cell growth, which explains its essential role throughout the different life stages. It plays an important part in the formation of red cells, the functioning of the nervous system and the immune system. Vegetable products, and in particular green vegetables, are the main contributors to vitamin B9 intake. 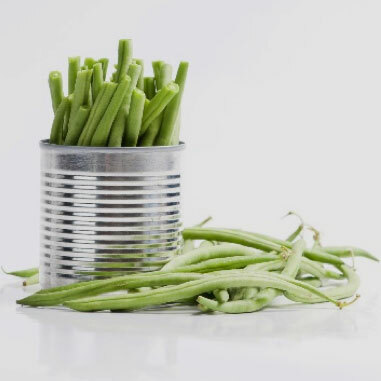 Recent studies have shown that green beans and spinach keep about 70% of their folates during the canning process. The reduction is caused mainly while blanching, and is similar to what happens when cooking at green vegetables at home. Carotenoids such as β-carotene (pro-vitamin A) or lycopene are micronutrients that are beneficial for our health. Humans absorb these regularly when eating fresh or processed fruit and vegetables. However, their effectiveness is linked to the actual quantity absorbed by the body (bioavailability). Studies have shown that the percentage of bioaccessible carotenoids present in canned foods is dependent on the temperature and production process used. However, the presence of fats, as in the case of tomato sauces in cans, promotes the release of carotenoids and improves their absorption. Little has been documented about the breakdown of Vitamin C at temperatures usually used for sterilisation (over 100°C) due to a lack of sufficient instrumental capacities. Very recently, thanks to the application of an experimental mechanism that allows continuous measurement of the breakdown of vitamin C during thermal processing (simulating a sterilization process), the role of the availability of oxygen was identified as a key point in controlling nutritional quality. In a model solution, even after five hours heating in the absence of oxygen, regardless of the initial concentration or the temperature (up to 125°C), vitamin C does not disappear completely. It should be noted that the time of industrial processing is usually several minutes, maybe about 10 minutes. The results obtained with apple and carrot purée showed that the breakdown mechanism of ascorbic acid was complex and involved several simultaneous and successive mechanisms. We can therefore assume that reducing the presence of oxygen when canning can help preserve vitamin C.
The effects of steaming or canning vegetables such as kidney beans, chickpeas and green and brown lentils have also been studied. Whilst the steamed vegetables retained higher levels of proteins, fibres and micronutrients, they had lower levels of lipids and carbohydrates. Canned beans and lentils, however, proved to be easier for the body to digest and had higher levels of vitamins B6 and B9. This opens the possibility for the development of new products such as canned steamed vegetables where the vitamin content will be even better preserved. As well as extending the shelf-life of food and preserving many important nutrients, canning food has many benefits in the fight against food waste, which is a major challenge today and tomorrow. Steel cans are available in multiple formats that can be adapted for different types of consumption, from small single serve cans to large catering packs. The right size pack is essential in managing consumption and greatly contributes to reducing food waste. In terms of energy consumption, canned food also has the advantage of being stored at room temperature from warehouse, through the supply chain, on-shelf and in the home or restaurant. Preservation is therefore maintained without the use of more energy. Also, when it comes to carbon footprint, canning facilities are generally located close to cultivation areas or fisheries, which greatly reduces transport costs and thus the carbon footprint of the cans. Combining innovative and/or conventional processes on single operations to improve the industrial line in general and the overall quality of the products. In future, the canning sector will no doubt move to an ever more integrated approach between agricultural producers and retailers, with research on the relationship between quality indicators for raw materials and those for finished products. The aim is to have better production guidance, to limit waste of food and to have even better quality products. Their relative low price is also an effective argument to encourage people to eat more fruit and vegetables. The variety of products on offer to the consumer also means that people can devise varied and original menus and enjoy the pleasure of eating and sharing, two essential and complementary elements of “Eating Well”.